101 Great Answers to the Toughest Interview Questions is a manual that will help you hone in on exactly what the interviewer is trying to learn . . . with each and every question he or she asks. If you've never done well on interviews, never even been on a job interview, or just want to make sure a lousy interview doesn't cost you a job you really want, Ron Fry will help you get that job-as he has helped literally millions of people nationwide and throughout the world. 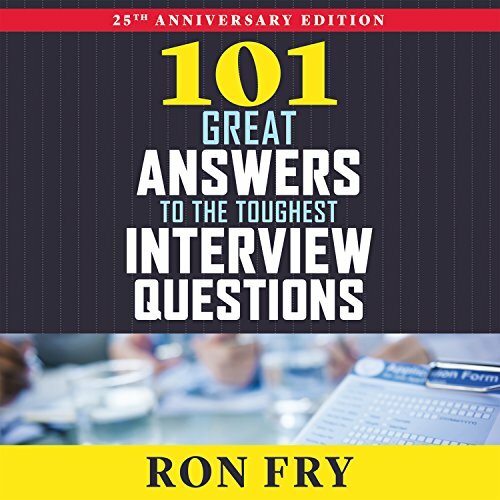 This brand-new twenty-fifth Anniversary Edition of 101 Great Answers to the Toughest Interview Questions is thoroughly updated to reflect the realities of today's job market. Whatever your age and experience, whether you are seeking your very first job or finally breaking into the executive office, this is the one book you need to get that job. By Brand: A Milt Wright Associates, Inc.